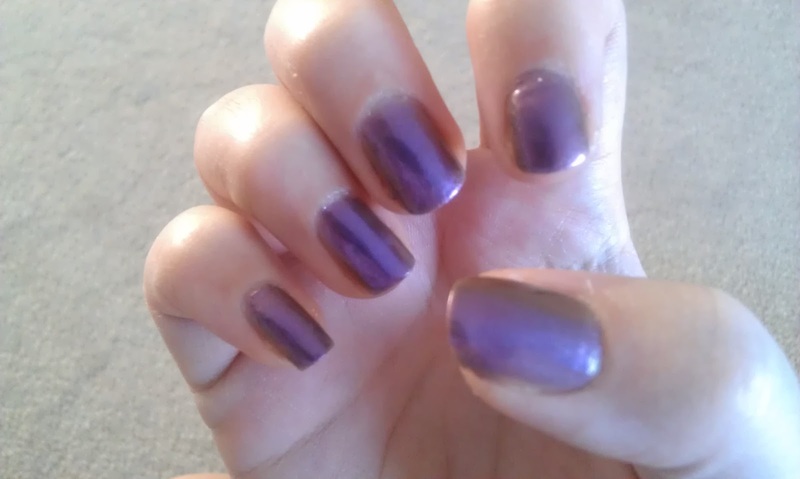 My hubby picked this polish up for me as part of my Christmas and when I first looked at it and noticed it was purple I thought it was instantly a winner but then as I took a closer look I noticed it was from the special effects range and had a brown colour also running through it. Even when I applied it I still wasn't sure on it but I must say after wearing it all day it started to grow on me. 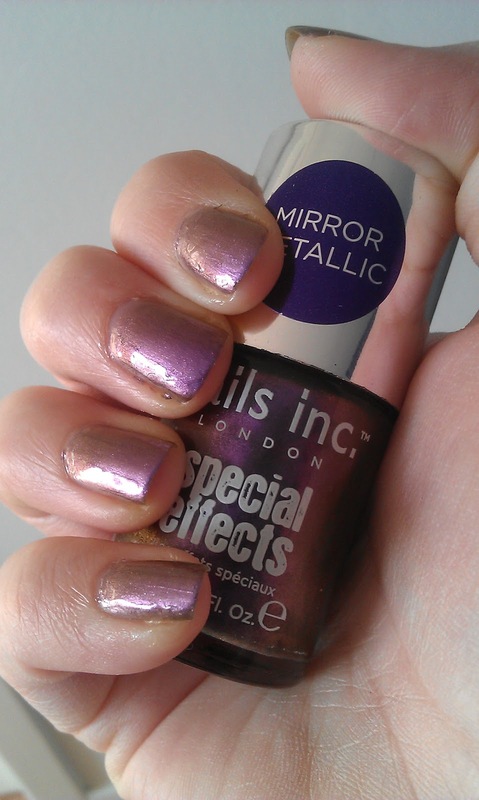 It has that oil slick look that draws you into to all the fabulous colours it holds. Depending on the light it goes between brown, purple, glitter a whole array of different shades, it's like changing your polish every 5 minutes, what's not to love about that! I really like the quality and finish of Nails Inc polishes, they always impress me and I hope to pick up more in the near future. You can purchase from Nails Inc website here. 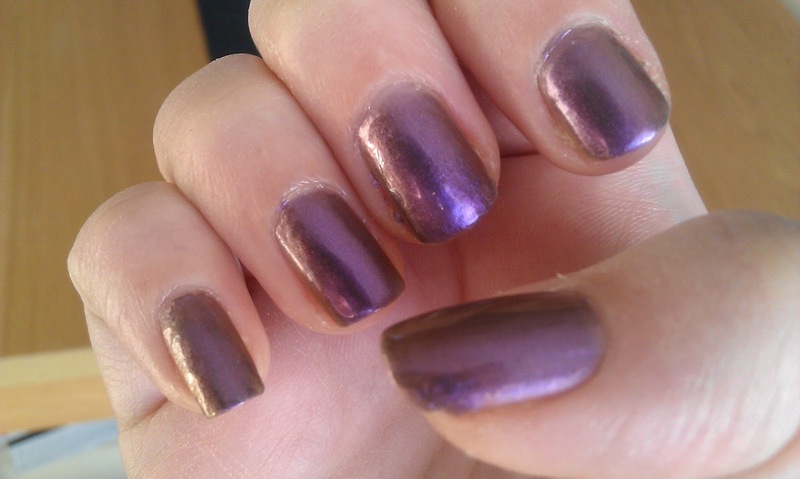 I love polishes like this that change in the light!